I find this time of year particularly difficult. At least the snow has melted. But it's not the snow, it's the short days and the early dark. The darkness. 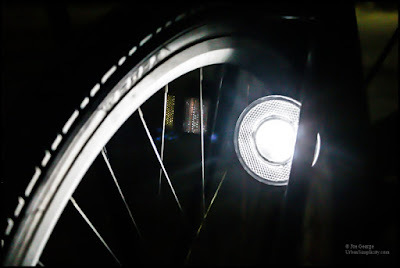 Ride to work in the morning in darkness and ride home in the evening in darkness. But we're past the winter solstice so we gain a bit everyday. A few minutes more of light every day. And that's enough, just a few minutes a day, the steady climb to light, is reassurance enough to know there is more come.